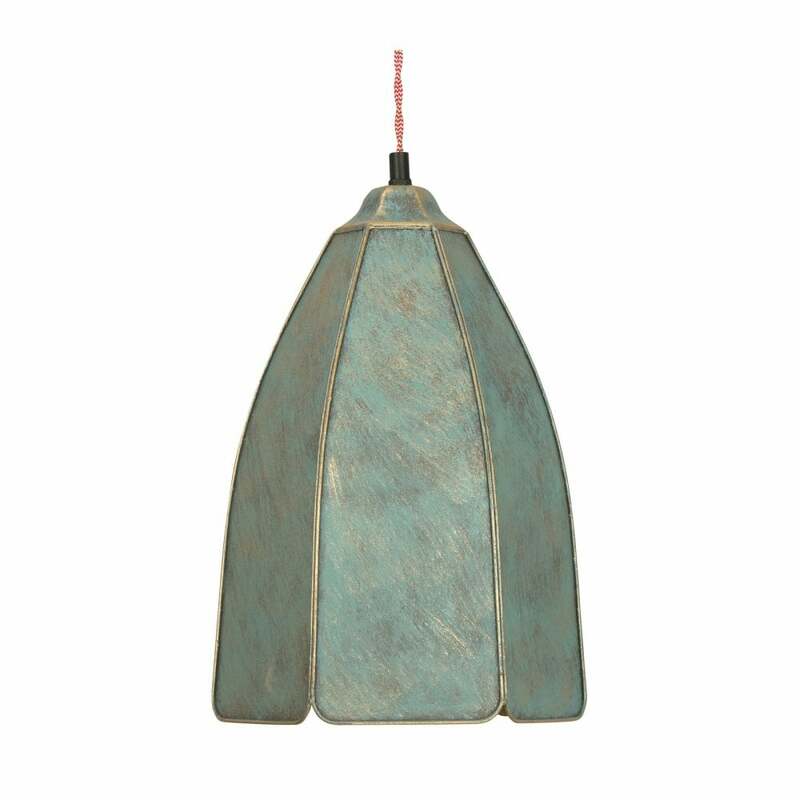 Oaks Lighting Sedna single light ceiling pendant features a circular ceiling plate with twisted cable holding a dome shaped, panelled metal shade in green gold finish. This product code is 8956 GG. The charming pendant is a perfect choice for both modern or traditional styled decors within your home and the copper finish adds a vintage touch. Also available with an copper finish which can be viewed on our website.